We were planning for a day trip since a very long time, luckily this happened today. Today also happens to be my cousin's Bday. So a day to remember. We were six altogether. Started at 6:45 am. 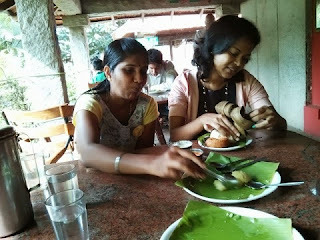 We had breakfast at Kamat lok ruchi. I ordered idli vada. 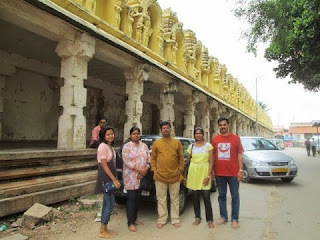 With nice breakfast and coffee, we headed to Nadi Narasimha temple. Small yet famous temple. 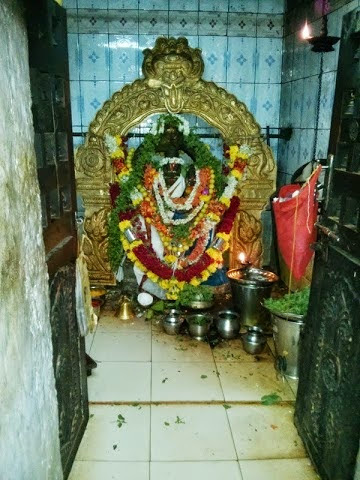 It is believed that during drought in that place, Rishi Kanva with his prayers impressed lord Narasimha and asked to bless the people of the region. We even see the Kanva dam nearby. People come here, pray, with twelve rounds round the temple chanting the mantra given and tie the coconut to a wooden log and with their desires, aspirations coming true they do visit again to thank God. 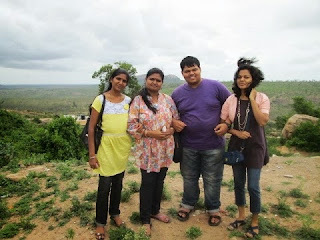 Our next destination was Melkote. 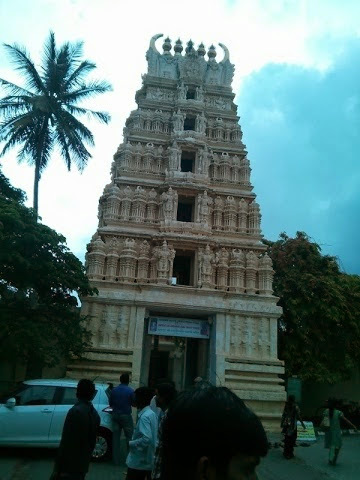 Melkote in Mandya district of Karnataka is a sacred place because of the famous Cheluvanarayana Swami temple. It is built on a hilly rock called Yadugiri. Vairamudi, an annual festival brings lakhs of people together, where The Lord adorned with a diamond studded crown in brought in procession over the golden Garuda. On top of the hill is Yoganarasimha temple. It is believed that Rama, Krishna and Balarama worshipped here at different time zones. Just after darshan, we found a nice spot nearby. Did some photoshoot before continuing the journey. 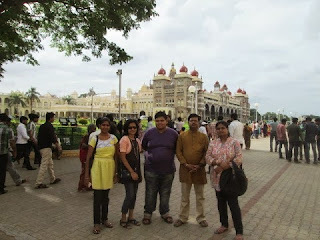 From there we headed to Mysore palace. Its a feast to watch the palace. One never gets tired to see the grandeur of Mysore. I was eager to visit Chamundi hills and temple since a long time. Finally the time had come. Chamundi hills is about 1065 meters above the sea level. On the top of the hill is the Chamundeshwari temple which dates back to 11th century. 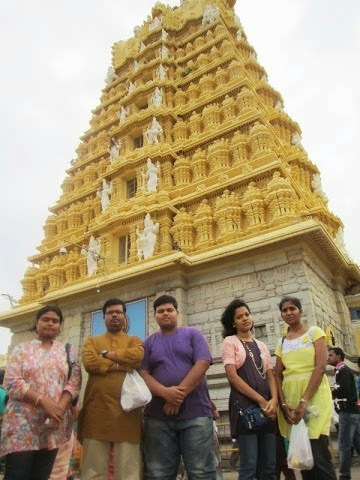 The temple is dedicated to Chamundeshwari, the titular diety of Mysore Royal family. 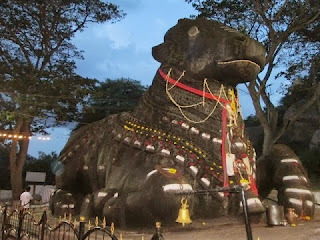 Nandi, Lord Shiva’s Bull, a monolith is found at the 800th step on the hill. It is over 15feet high and 24 feet long. With this we ended visiting all places we had planned. On our way back with the cuves of the hill, could watch a beautiful view of the Mysore city from top and especially the Palace with its lightings. Thankfully rains did not hinder our journey at all.